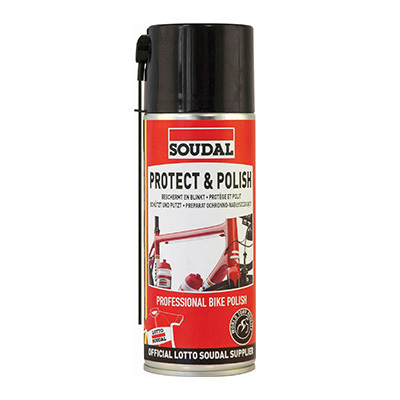 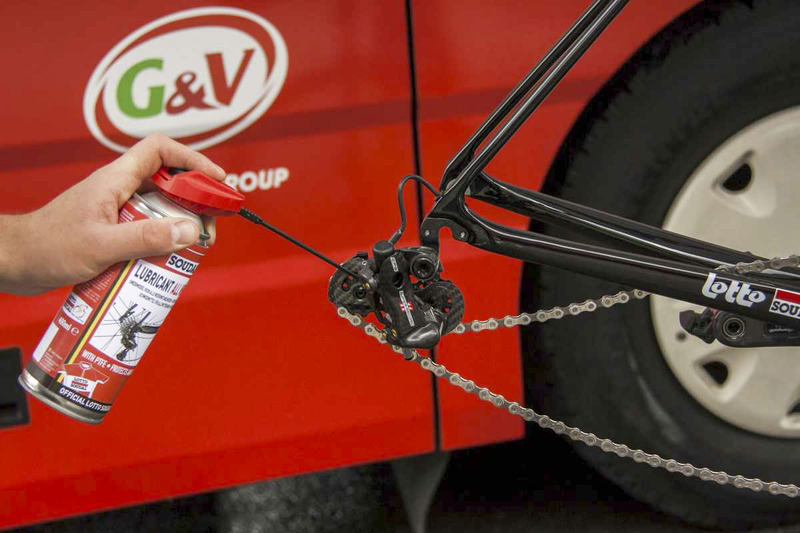 Professional lubricant for lubricating moving parts such as chains, derailleurs, cables, etc. 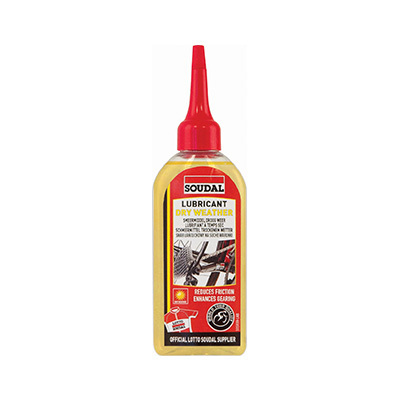 This lubricant is especially designed for use in all weather conditions thanks to the PTFE additive. This provides long-term protection in dry weather and is extremely weather repellent in rainy weather. 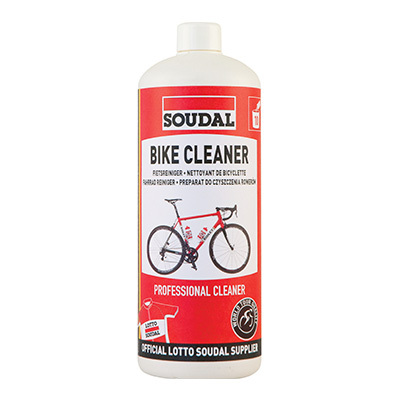 Directions: First, clean the chain and other parts using Soudal Bike or Chain Cleaner. 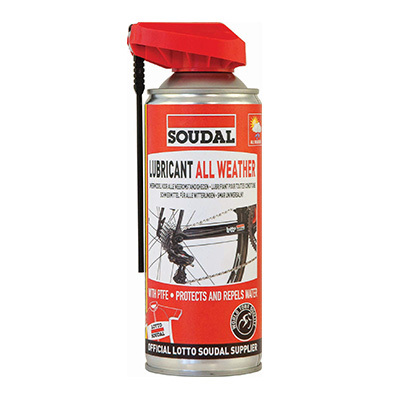 Now apply sufficient All Weather Lubricant.